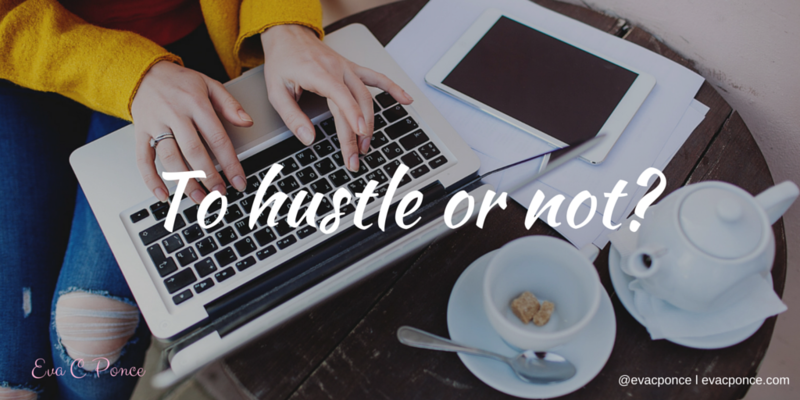 Do you believe you have to hustle endless hours to build an amazing business? Hustle got me a herniated disc, a blown sciatic nerve and a bad attitude. Working 12 hours in corporate america, being a mom & wife and then a few hours to build my side business, left with depleted in mind, body & spirit. That was my breaking point and you don’t need that type of wake up call in order to hustle in a healthy way! How many hours can you possibly be on the “GO” and not have it affect you? How many things can you try to handle at the same time before something falls along the wayside and fails? The answer is you can NOT stretch yourself without YOU hitting that breaking point. Without proper rest, self care, quality time with family & friends, heck even with yourself, you can NOT function at your truest best. That, my friends, is not possible. Everything needs time off, our cars, our children, our minds, everything! Giving yourself that permission to detach and unwind is necessary NOT selfish. We were not designed to be in the workflow for hours on end without exhaustion. We all need that time to relax, refresh and renew our energies in all that we do both in biz and life! Schedule time to rest & detach for your business. Mark it on your calendar and honor that time because you need it in your day. Use your smartphone to set alerts to keep you accountable to step away and regroup. Review your day and eliminate time wasters (ie, mindless Social Media surfing, TV, etc.) and replace those with meaningful activities like a walk to the park with the kids, reading a great book, coffee date with your spouse, etc.) Remember to have FUN in both your biz & life! Review your goals monthly and make sure they still align with your “WHY” for starting your business. (ie: Spend more time with my family & friends, go on vacation, finally sign up for yoga, etc.) Make sure you are giving enough of your time to those things you desired to do when you created your empire. Remember there are seasons in our lives. To create and to rest. Nothing is ever built overnight. So carefully design a workflow in your day that works for YOU. If it’s only 4-5 hours daily, then that’s it. Be okay to take your time to make your business successful. Ask for help along the way too. You’re not alone in this process either. Reach out to those who can contribute that assistance you need to make your life easier. Being your own boss affords the opportunity to make your life less stressed because you can create that time freedom in your day. You decide, you make the rules in your company, right? I wish you joy, love, rest & peace in both your biz & life! May you reach ultimate success at your own pace, after all, it’s not a race, it’s a lifestyle! If you’re interested in customized strategies to design your work life around your priorities, I offer FREE 30 minute Freedom Strategy Sessions where we can assess if we’re a perfect fit to work together plus formulate 3 actionable steps to kick-start your shift to your ideal time freedom. Click HERE to get you started.